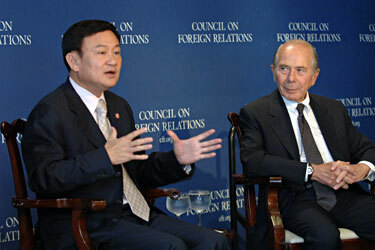 While proponents of the UDD and Thaksin Shinawatra's political dynasty will cite a handful of socialist policies PTP implemented in Thailand while in power, it should be noted that Thailand before and well after PTP held power has devised and implemented socialist policies, as do virtually all nations on earth. State institutions, including affordable public universities existed before and after Shinawatra's time in power. Shinawatra actually privatised the nation's state oil enterprise, PTT, a move that Shinawatra's opponents have repeatedly tried to overturn, and a move most certainly "un-Communist." Subsidy programmes have also existed before and after Shinawatra's time in power. Under Shinawatra's sister's term as prime minister between 2011-2014, rice subsidies promoted by Shinawatra in order to clinch the 2011 election ended up not only not helping Thailand's rice farmers, it devastated the rice industry and left nearly 1 million farmers unpaid while their rice rotted unsold in government warehouses. It was only after the 2014 coup that ousted Yingluck Shinawatra from power that farmers were finally paid. It is an example of not only a disingenuous populist or "socialist" policy devised merely to buy votes, it is also an example of how impostors posing as "socialists" or even as "Communists" can damage the very ideology they use as a sociopolitical smokescreen. Thailand's constitutional monarchy has for decades worked nationwide to empower people with the tenets and tools of self-sufficiency. The late King Bhumibol Adulyadej relentlessly worked to encourage localisation, decentralisation and strong, self-reliant communities to free people from predation both from domestic political interests as well as those of wider globalisation. Among the many features of the late King Bhumibol Adulyadej's work was the promotion of community cooperatives. Cooperatives could include everything from acquiring and distributing the benefits of a common village rice mill and other equipment for value-added agricultural processing, to joint-networks to help package, market and ship community goods around the country and abroad. 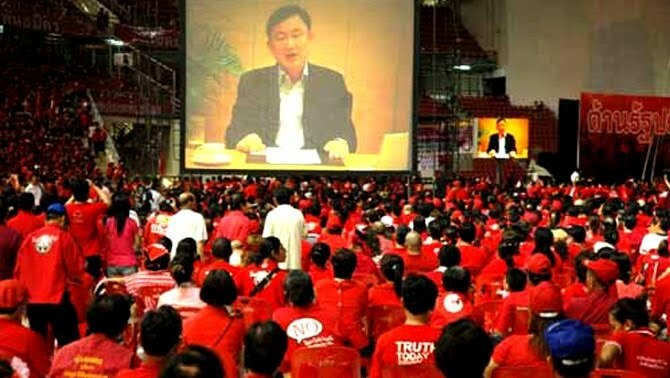 It is perhaps ironic that supposed "Communists," wrapping themselves in red, vehemently condemn these networks and the tenants they are built on, promoting instead a system of patronage headed by Thaksin Shinawatra and his PTP political machine, a conglomeration of mafiosos and millionaires, insisting that true "democracy" be equated with achieving crippling dependency on such patronage networks. 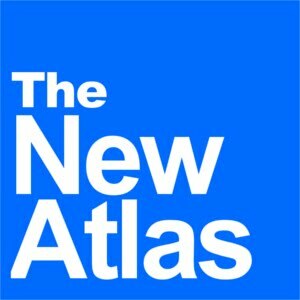 In contrast to royal projects building productive and self-sufficient villages, Shinawatra's patronage networks leave entire segments of the population lying around waiting for the next election and the whirlwind of populist handouts they expect to follow a victory for Shinawatra's political proxies. At one point, Shinawatra, the PTP and UDD initiated a "red village" programme in which an image of Thaksin Shinawatra would be affixed to the entrances of villages in his political strongholds in north and northeast Thailand. These villages would become de facto exclusion zones for any form of politics opposed to Shinawatra and his political machine. Obedient villages who performed well during elections would be rewarded. Those that didn't would not be. 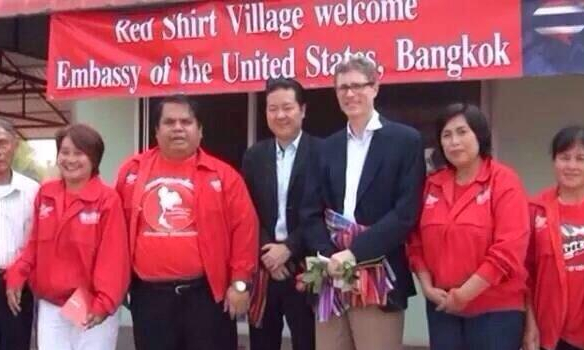 At one point, representatives of the US Embassy in Thailand would visit representatives of this "red village" network (video here), lending political support and legitimacy to the movement and highlighting once again the true nature of who and what the UDD really represents. For those who only need to see the colour red to be convinced, billionaire Shinawatra's "red villages" seem like progress. 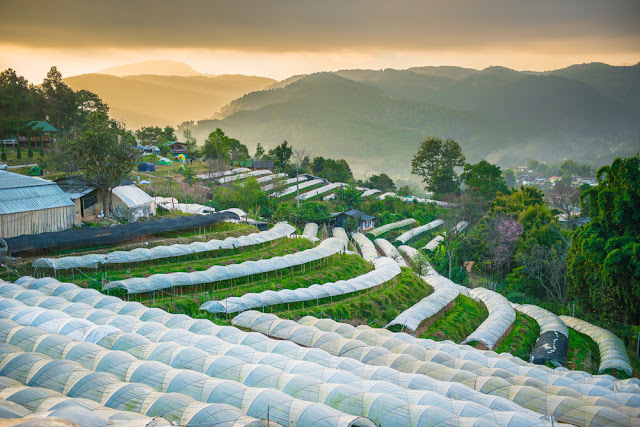 For those who actually care about empowering people or Thailand's sovereignty among an increasingly multipolar world, it is clear these "red villages" seek to overwrite progress that has already been made. Together with US National Endowment for Democracy (NED) and United States Agency for International Development (USAID) funded networks stretching across Thailand, Shinawatra and his foreign sponsors seek to create parallel institutions and networks to crowd-out Thailand's own independent institutions, target and undermine Thailand's military and constitutional monarchy, attack and erase Thailand's cultural identity and unity, and render the only nation in Southeast Asia to have so-far avoided Western colonialism, a compliant and obedient client regime vis-à-vis Washington's true regional adversary, Beijing. 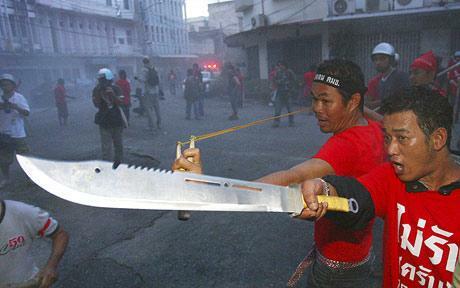 Shinawatra and his UDD is red "Communism" without the actual Communism. It is yet another movement that uses superficial symbolism to ensnare the well-meaning, but one that upon tracing the money and true motivations that animate it, leads to Washington, London and Brussels, not "people power." The fact that the UDD stands opposed to a constitutional monarchy further lends the movement an attractive narrative that appeals to unrealistic and exceedingly superficial adherents of not only"Communism" but also superficial adherents of "anarchy." Also aiding the UDD in attracting support, particularly from Western admirers abroad, are persistent Cold War myths surrounding Thailand's relationship with Washington., myths that contradict Thailand's actual and current shift away from Washington. Such superficiality has likewise enabled Washington-backed movements like Al Qaeda, which play the role of pious Muslims fighting against foreign oppressors all while insidiously serving them. 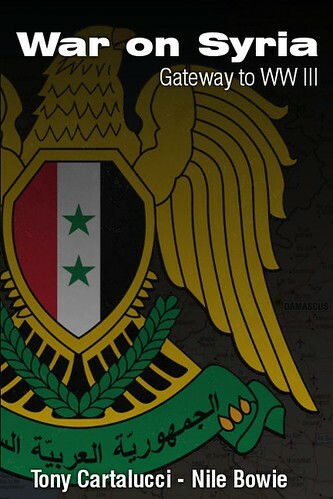 Likely, many have unwittingly been drawn into Al Qaeda's narratives, focused on their banners, their books and their bellowing, rather than on their finances, real friends or actual foes. If Washington is capable of creating legions of fascists and Wahhabi militants that serve its cause, it certainly can create "Communists" and any other ideological flavour of proxy it believes can serve its interests when and where needed. With Washington possessing such a capability, only real analysis can peel back the layers of money and motivations of any given movement, revealing its true colours, and those who refuse to peel back these layers, may in fact be aiding and abetting empire, not resisting it.